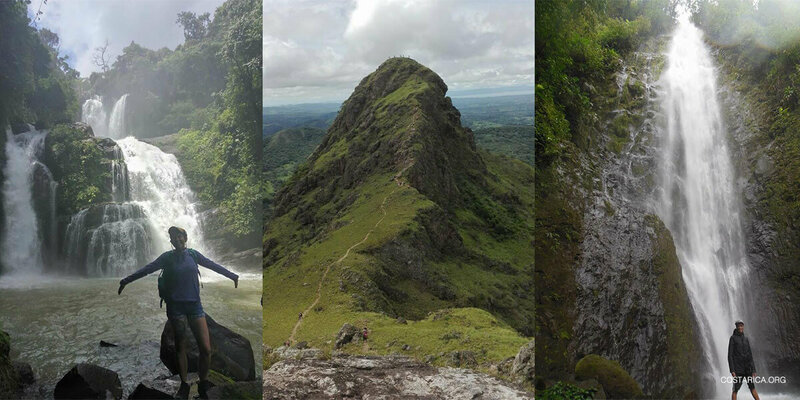 Wading through cold, clear rivers, strolling through green farm pastures, balancing on slippery rocks, pausing in the jungle to listen to the birds before pushing yourself over the next ridge, and that moment of awe when you reach your destination; whether it’s a peak with a view or a 400-foot-high waterfall, it was worth the hike. If you are in Costa Rica to study, work, or sightsee, odds are you were attracted to this country at least partially for its natural beauty and adventure tourism. You are most likely no stranger to hiking and are looking to trek in the land of pura vida. Your Costa Rica hiking trips do not need to be limited to national parks, and if you are based in San Jose, Alajuela, or Heredia it is not necessary to have a car to hit most of the best trails at an affordable price. The best part is, you can get there and back all in one day. When I started hiking in Costa Rica, I initially felt frustrated. Having already hiked in most of the national parks near me, I thought that I had already exhausted my immediate options. In my Google searches for new and exciting trails, I was met with disappointment because they were on private property or weren’t accessible unless I had a car… and I did not. Luckily, I couldn’t have been more wrong. In my search, I came across a page called Sitios Ticos and all my frustrations were lifted with this one site. 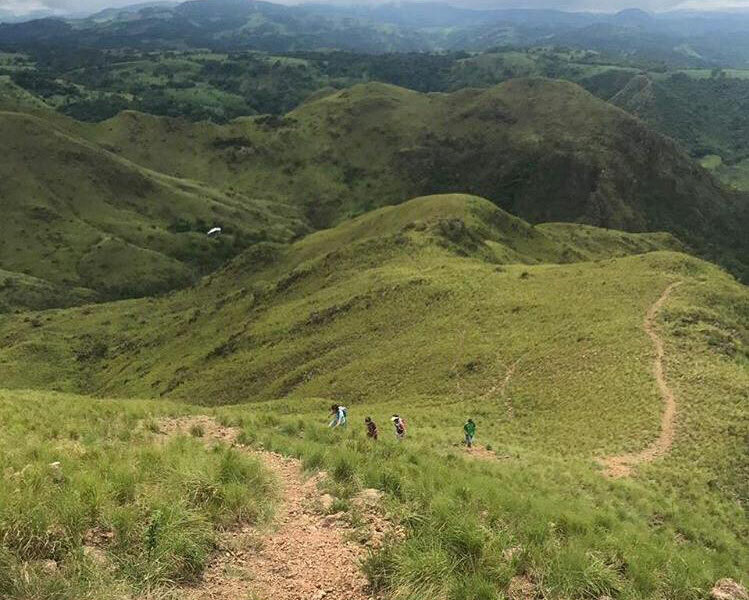 Sitios Ticos specializes in day trips and day hikes. Soon I discovered that there are many small, Costa Rican companies out there exactly like it. 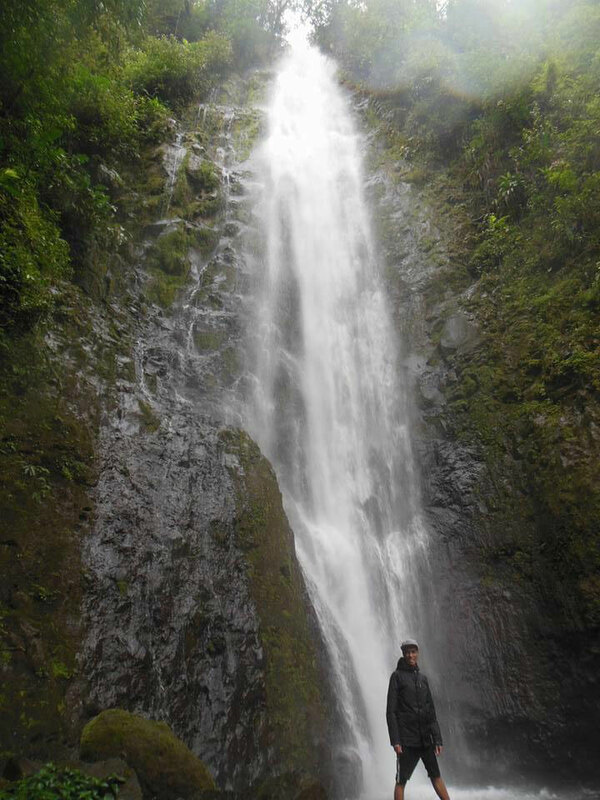 Typically, my husband and I prefer to hike independently, instead of in a group, but we decided to ‘test’ these days hikes starting with a trip to ‘Catarata la Danta’ in Bajo la Paz, San Ramón, Alajuela. This hike took us through local farms with mountain views, gravel roads, muddy trails, misty fields, and a descent into the forest, ending up at an 80-meter waterfall. We walked around 14 kilometers, but the starting point can vary depending on your tour company. This trek took us around five hours round trip. There were many steep ascents and descents that called on our endurance, just what we were looking for. We were led by the owner of the property, a farmer in a floppy hat and rubber boots, while a licensed guide brought up the rear to make sure no one was left behind. We programmed this hike through the company Sitios Ticos in October 2016 and have been hooked ever since. There are many day hike groups, companies, and independent guides that organize trips. Once you hit the “like” button on one, you fall down a rabbit hole into the lap of all the others. It is impossible not to find a hike that appeals to you for any given weekend. Here is a list of only some of the groups that book day hikes. Disclaimer: I have not hiked with all these groups. I have only used Chirripó Mountain Adventures (my personal favorite), Poás Rutas, and Sitios Ticos. Let’s say for example that you have Sunday February 3rd free and you’re looking to get out of the house and stretch your legs. You start looking through the different Facebook pages to see who has an interesting trip that day. Hiking Tours Costa Rica is going to Oropendola. You have never been to Rincón de la Vieja and the waterfall looks gorgeous. You click on that trip for information and see that the level of difficulty is for beginners and you were really looking for something more challenging. 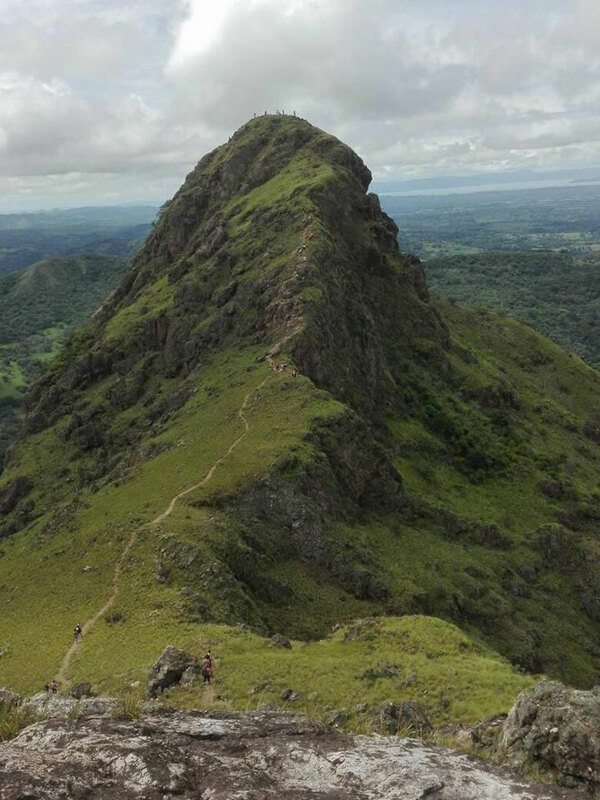 It looks like A la Montaña con JM is doing an advanced level hike that same day called “Cruce de Cerros: Escazú-Tarbaca”, 14 kilometers and half the price of the Oropendola trip, only 16,000 colones! What is included in that price? Air-conditioned transportation, a licensed guide, and a local guide, but it looks like you will be buying your own breakfast and lunch. The Facebook pages for these tours have all the information that you need and are usually detailed. You must contact the tour guide/company via text, WhatsApp, phone call, email, or Messenger to confirm that they have space available for you and your friends. All the contact information is on the Facebook page, you will also find these same step-by-step instructions there (in Spanish). Read the information carefully and pick a hike with the level of difficulty that is right for you. Once you know they still have room on the trip, you need to pay before the deadline, which is normally three days before the hike. The payment is made via bank transfer. Most of these tour companies have accounts in common bank chains in Costa Rica such as BAC San Jose, Banco Nacional de Costa Rica, and Banco de Costa Rica. The bank account information is on the company’s Facebook page. You can screen shot the account number and make the deposit at your nearest branch. I have a bank account in BAC San Jose and can make the transfer online, however, if you do not have a Costa Rican bank account, there is no problem. You can do it in person, as I mentioned before, at the closest branch of your convenience. The bank clerk will ask if you would like a “note” on the receipt, you should put down your full name and the name of the tour. You will send your receipt, or proof of payment to the tour company via text, WhatsApp, email, or Messenger, and your spot is now reserved. Use the company Facebook page to help with packing for your day trip. The best tour groups provide a list of suggested items to pack depending on what terrain and climate you can expect to encounter. The day of the tour, you will need to get to the pick-up point at the time indicated. Some companies have as many as four pick-up points, whereas others might only have one. Most will stop in San Jose, Alajuela, and in Heredia at a central location. It is your responsibility to get to the pick-up, and to be punctual, or you will be left. Most likely, your departure is in the early morning, and you will need a taxi or uber to get there. Everything sounds so doable. There must be a downside, right? Most tour groups have higher prices for nonresident foreigners. Although annoying, this is not unlike museum and national park fees for tourists. Despite this, the prices are affordable compared to tourism agencies, ranging from 40,000 colones to 15,000 colones depending on how far the drive is from the pick-up, and depending on whether the food is included. Many of these small tour companies operate through Facebook and do not have a website. If you do not have a Facebook account, you do not have access to hiking trip information. The information is almost never provided in English! Many of these groups have guides that speak English, but not all of them do, and there is no guarantee that their bilingual guide(s) will be booked for your hike. If this is a point of concern for you, it is best to speak to the coordinator prior to reserving your space on the hike. Even if you have a bilingual guide, the information on the Facebook page and the rare website is almost never provided in English. This is a perfect opportunity for you to practice your Spanish reading and speaking skills. Any time I have gone a tour like these, I have been the only non-Costa Rican on the hike. It is a great way to see the country without being surrounded by other tourists. You get to practice your Spanish and meet Ticos with similar interests. If you prefer not to hike in groups, this might not be for you. I thought that this part would be hard for me to get over, but in the end, it was not an issue. There is always a comical moment in the beginning of the hike when everyone is showing off and fighting for a place in the lead, but as the hike moves forward, differing levels of endurance begin to show and the more experienced head for the front, while most of the group begins to spread out and take their own pace. Group sizes vary from eight to thirty people, and people tend to spread out. Safety in numbers, right? The pick-up points are in Alajuela, San Jose, or Heredia. If you are in or near these places, it is perfect. But if you are vacationing on the beach or live in a more rural location like I do now, it is not so convenient. The hikes are almost always scheduled for the weekend, on a Saturday or Sunday. If you are on vacation and stuck in San Jose looking for something to do mid-week, you might be out of luck. Why aren’t these companies more popular among tourists? I often ask myself, these hikes are affordable, beautiful, and convenient, where are all the foreigners? As I mentioned before, I have always been the only ‘gringa’ on the hike, surrounded by Costa Ricans. It is a form of tourism dominated locally. But why? Perhaps a lack of marketing, lack of websites, and a lack of exposure in English or other languages. As with anything when traveling, do your research and ask questions. Check for reviews and learn about your guides. One of the reasons that I love to hike with Chirripó Mountain Adventures is the sense of safety. Not only were they passionate about hiking but they were also EMTs, firefighters, and outdoor specialists. Make sure the company that you hike with is licensed, insured, carries a GPS tracking system, has radio communication, and takes a first aid kit. Just because someone is offering an adventure tour in Costa Rica, does not mean that they are licensed to do it. Again, this is information you can check their Facebook page for. One of the advantages to hiking with guides is that your daypack is lighter when someone else oversees carrying the emergency gear. Where all can you go? These day trips are not limited to waterfall and mountain hikes. You can also take day trips for families to locations that are easily reached by all ages, such as hot springs and lakes. 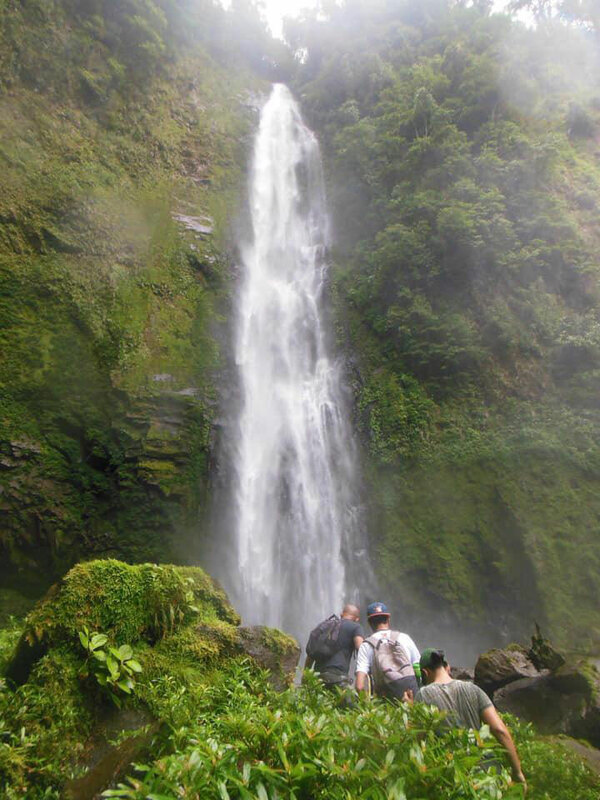 Some of the most memorable destinations that I have hiked with my husband with hiking tours have been, Catarata la Danta in Alajuela, Cataratas Nauyaca in Puntarenas, Cerro Pelado in Guanacaste, and Catarata Tesoro Escondido in Alajuela. What if I have a car and don’t want to hike with others? There’s a website for that, Que Buen Lugar. This site gives you the names of great places to hike and all the necessary details, including the contact information of the landowners and local guides. Recently we were looking for a hike here in Pococí. On the Que Buen Lugar website we found a beautiful waterfall hike with a high level of difficulty, Catarata Río Blanco in Limón. With the information on this site we were able to get in contact with a local guide. We put together a group of friends, drove to the guide’s house, and he led us to our lesser traveled, hidden waterfall destination. It only cost us 5,000 colones each. There are so many beautiful places to hike and great people to hike with here in Costa Rica. Tap into this lesser known realm of tourism and come explore the mountains with us. Remember to take a plastic bag with you for trash, and always leave the trail the way you found it. Happy hiking. 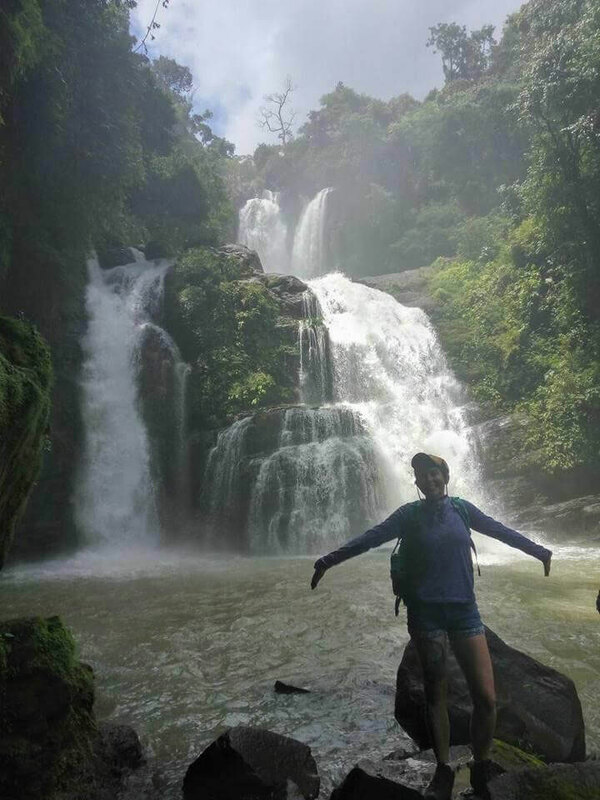 Caitlan Hester is a Southeast Missouri U.S.A. native currently living in Costa Rica where she has worked teaching English for the University of Costa Rica, in a non-profit for at-risk youth, at a language academy, and in a software company. Passionate about languages, teaching, and giving back to her adopted community, she has recently opened a small business, an English Academy, Guapiles Language House in Guapiles, Pococi, Limón. 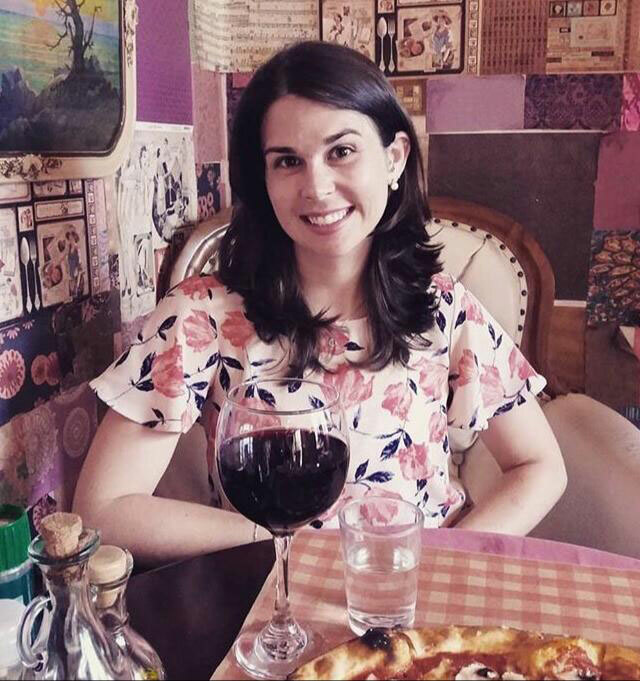 She studied anthropology and French at Southeast Missouri State University and has lived abroad in France, Chile, and currently Costa Rica, where she has resided since 2013.